4k00:08Train rails automated manufacturing line - detail shot. Large drill milling shapes out of a metal piece on a CNC machine. 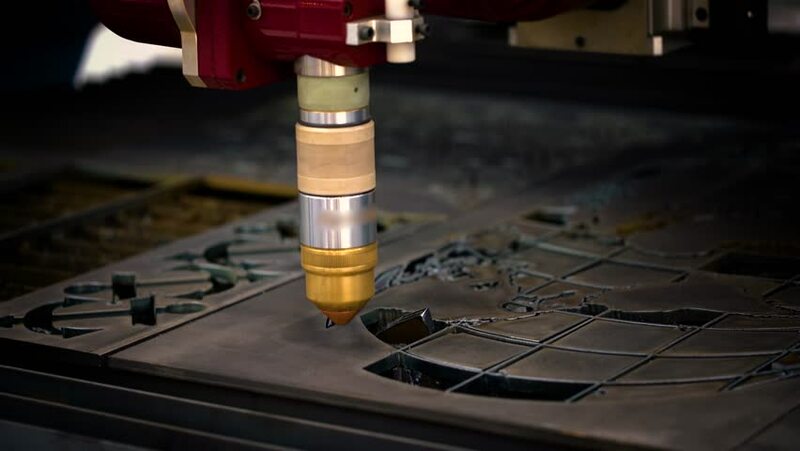 hd00:08The machine laser cuts out a piece of iron. Sparks fly in all directions. hd00:22Gears working at various speeds showing helical and worm cuts.